I grew up spending summers with my family at our lake house in central Finland. We pulled dinner from the old forests and deep lakes that surrounded the little cottage that my grandfather built after the Winter War. We gathered around a picnic table under the birch trees twice a day, feasting on homemade rye bread, my uncles smoked salmon and the love of family. At night, we bathed in the sauna and launched our naked bodies into the cold lake under the midnight sun. I learned more from my wanderings in those quiet woods full of berries and fairies and during my aunt, mother and grandmother’s sauna sessions than I did back home at school in Tennessee. Once I was on my own, I went searching for that kind of connection and a life in sync with nature, trying to recreate the feeling of the summer house. I spent a decade working and studying on organic farms in California and Montana and on this path eventually came to tea in 2001. My journey with tea has shown me traditional cultures around the world and how they use tea to connect and to enjoy the sweet simplicity of life. In a way, it has led me full circle, showing me not a place where I can live how we do at the lake house, but a way of life that brings the same rich connection. It is now the tea lifestyle that I long for - one of presence, peace, and joy. Sarah Scarborough has devoted the last twenty years of her life to discovering the history and culture of tea. She has traveled all over the world to learn the ancient tradition of the tea ceremony and source the finest, ethically grown varieties. 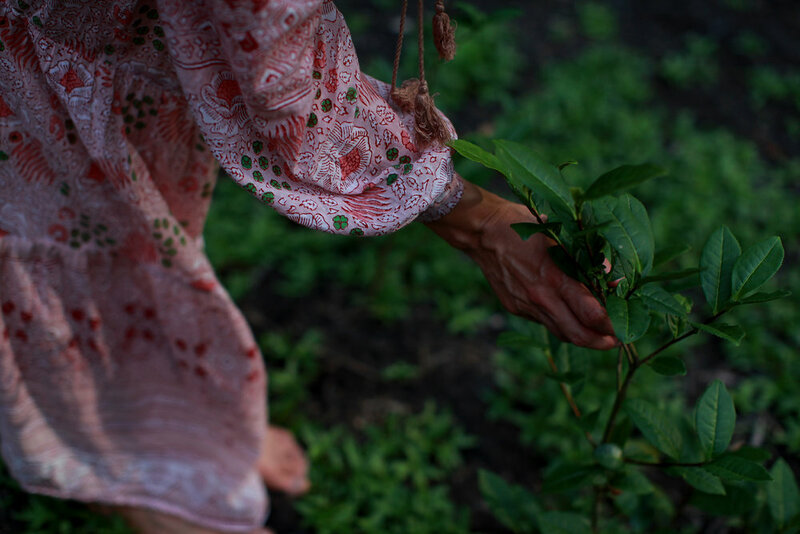 Tea Huntress is the outpouring of her passion for nature's magical herb and its power to connect and change us.